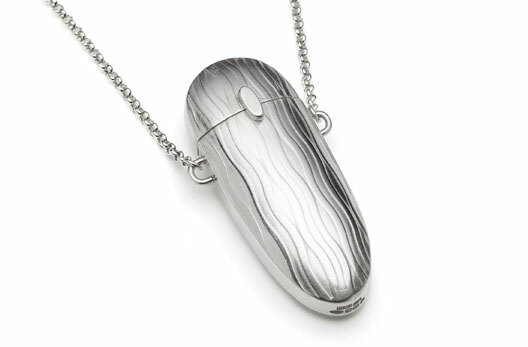 Nicola Bottono is a Cornish silver artist who specialises in wearable vessel pendants. She attained a BA (Hons) in Silversmithing and Jewellery at Truro College under Plymouth University in 2012. During her studies she focused on forms that were functional. The design inspiration for her wearable vessels comes from the containment of that which is held as sacred. 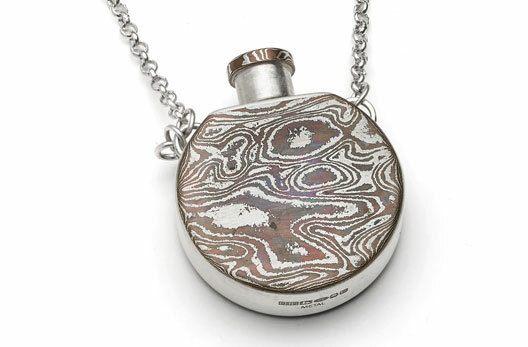 The contemporary silver bottles were originally constructed to carry water from the Holy Wells of Cornwall. 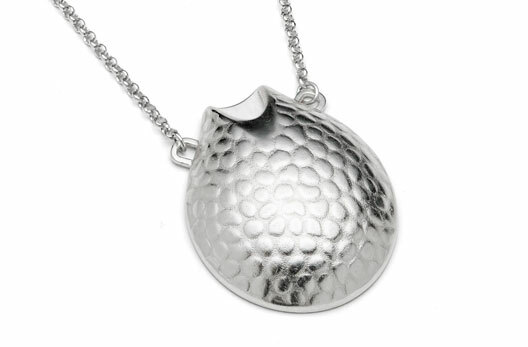 They can be used to carry tokens of love, sand from your favourite beach or earth from a festival field. 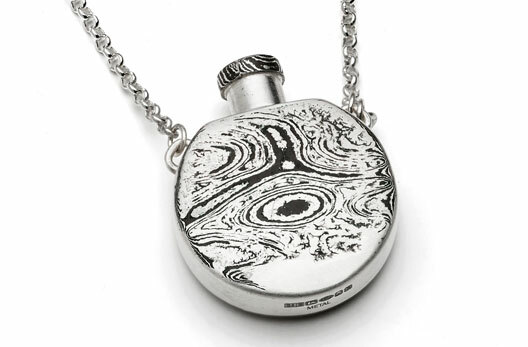 This connects the wearer to a person, place or event that they hold as sacred. 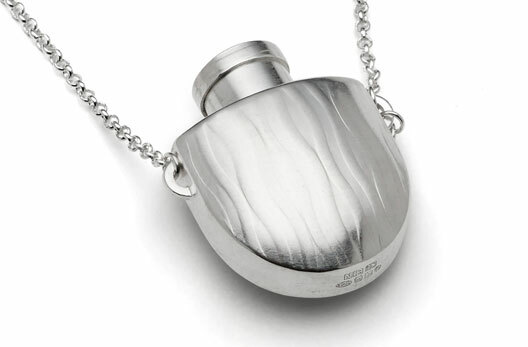 The bottles can also be worn as a miniature reliquary, carrying the ashes of loved ones departed. 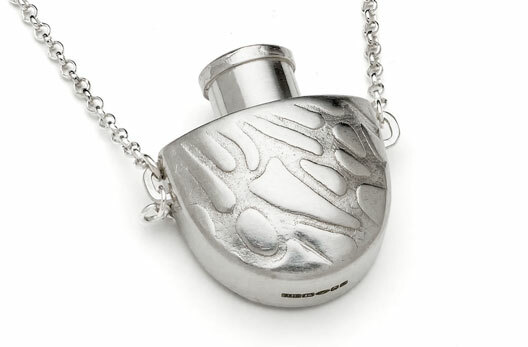 Nicola creates these beautiful vessels, you tell the story. They are also keepsakes that can be handed down through generations. 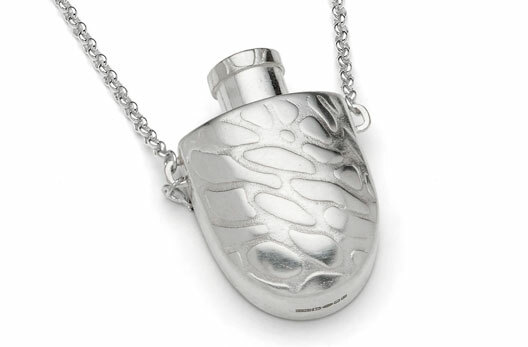 The vase pendants can carry small seasonal flowers such as violets or forget me nots. They make unique and beautiful gifts. 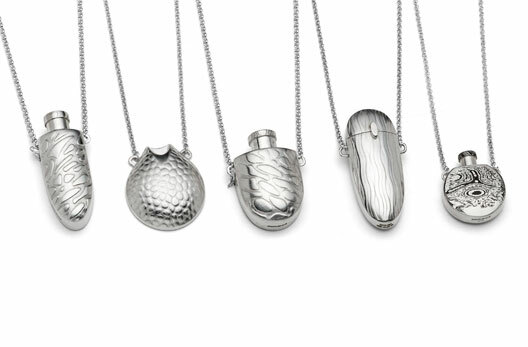 Each piece is hand crafted in sterling silver using the techniques of texturing, press forming and fabrication. Hallmarked at The London Assay Office.